The past nine years have been extraordinary for the stock market. From March 2009 to the end of 2017, the Standard & Poor’s 500 Index, a benchmark of market performance, rose close to 300 percent. In 2017 alone, the index gained more than 21 percent. If you are an investor who has benefited from the extended bull market in stocks, you might think there’s no reason to rebalance your portfolio. However, certain investments or sectors you own may have prospered in recent years, possibly affecting the level of risk you have in the market. With market performance where it is, it may make sense to review your portfolio and determine if changes are appropriate. Rebalancing is a process of shifting assets in your portfolio back to your original allocation to more suitably reflect your investment objectives and risk profile. Because the markets move in unpredictable cycles, it’s important to remember that the types of returns many investors saw in 2017 won’t necessarily be repeated in the next few years. 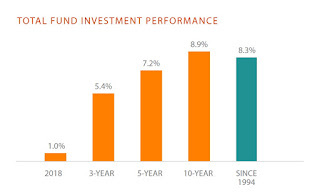 While stocks have historically moved higher over time, there are periods when they either perform below average or give back some of the gains they previously achieved. These market swings mean an investor may have to make adjustments to their portfolio mix over time. Keep in mind that rebalancing does not guarantee a profit or protect against a loss. As a simplified hypothetical example, assume an investor’s portfolio was established with a mix of 60 percent stocks and 40 percent bonds. This mix would be determined based on the investor’s risk tolerance and goals. After the market’s recent winning streak, stocks may now represent 70 percent of the portfolio. This could be considered an “overweight” position compared to the investor’s designated allocation. If stocks experience a correction, the “overweight” position in equities could work against the investor. 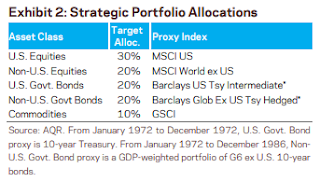 It may make sense to reduce the stock position back to its original allocation of 60 percent, and move 10 percent of the portfolio back into bonds. In this way, the portfolio would more accurately represents the investor’s risk profile. When one asset class is a certain percentage higher or lower than its original representation in your portfolio. Your investments will swing up and down day to day and week to week, so work with your financial advisor to establish a benchmark for when volatility may trigger a change in your investment makeup. At a set time frame, such as quarterly, biannually or annually. Reviewing on a regular schedule may help you avoid making an emotional decision during times of market volatility. When you recognize a broad, persistent trend in the markets. For example, upward trends in emerging markets’ performance or rising interest rates in the United States could affect your portfolio or present an investing opportunity based on your goals. Because of changes in your own life. Major life events, such as marriage, divorce, the birth of a child or grandchild, or deciding on a retirement date, may require you to adjust your investments so they align with your new priorities. For example, if you decided to retire early you may want to reduce your exposure to risk in case the markets dip before your retirement date. This could mean shifting a portion of your portfolio into more conservative investments. Even if you hold investments in a variety of accounts, consider assessing all of your holdings as one portfolio to determine if you need to rebalance your assets. Be aware that if you sell positions in taxable accounts, you may incur taxable gains. If you make changes within a tax-advantaged account (such as IRAs or a workplace retirement plan), you may be able to avoid any current tax implications from the rebalancing process. Even if your portfolio is making progress toward your goals, it’s important not to keep your investments on autopilot. Your asset allocation can have a major impact on your ability to reach your future goals, so it’s worth ensuring your mix remains on track. Consult with your financial adviser and tax advisor before you make any decisions about your investment strategy. All intelligent investors know that it's your asset allocation that determines your returns over the long run. This holds true for small and large investors like pensions. Today's topic is all about rebalancing. The idea came to me this weekend as one of my astute blog readers, Drew Wells, called me to discuss the optimal rebalancing strategy for individuals and institutions. I thank him for inspiring me to write this comment. Just as there is no universally optimal asset allocation, there is no universally optimal rebalancing strategy. 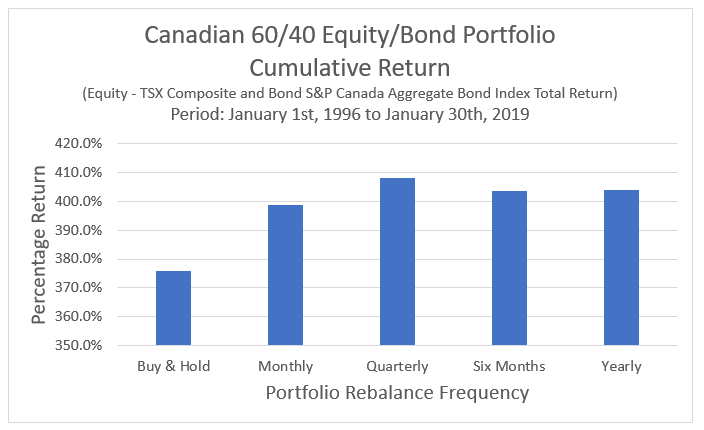 The only clear advantage as far as maintaining a portfolio’s risk-and-return characteristics is that a rebalanced portfolio more closely aligns with the characteristics of the target asset allocation than with a never-rebalanced portfolio. 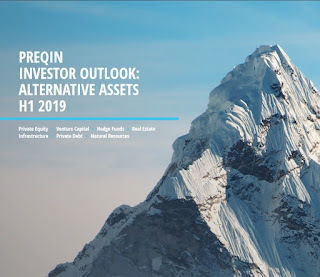 As our analysis shows, the risk-adjusted returns are not meaningfully different whether a portfolio is rebalanced monthly, quarterly, or annually; however, the number of rebalancing events and resulting costs increase significantly. As a result, we conclude that a rebalancing strategy based on reasonable monitoring frequencies (such as annual or semiannual) and reasonable allocation thresholds (variations of 5% or so) is likely to provide sufficient risk control relative to the target asset allocation for most portfolios with broadly diversified stock and bond holdings. depends on a number of factors such as the market environment and asset-class characteristics. Rebalancing achieves the goal of risk control relative to the target asset allocation in all market environments. Although market return patterns may create opportunities for tactical rebalancing, this active strategy is challenging. 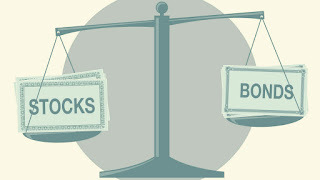 Based on reasonable expectations about return patterns, average returns, risk, and correlations, we conclude that for most broadly diversified stock and bond fund portfolios, annual or semiannual monitoring, with rebalancing at 5% thresholds, produces an acceptable balance between risk control and cost minimization. To the extent possible, this rebalancing strategy should be carried out by appropriately redirecting interest income, dividends, new contributions, and withdrawals. So the topic of this post, is what exactly is the "optimal rebalancing strategy" for pensions and for individuals? With reference to our conversation earlier today, Michael Edesess argues in is book that there is no theoretical or mathematical justification for rebalancing. But that’s not the argument that most interests me. Rather, his argument that automatically rebalancing is sensible for all investors has no basis in fact is what really interests me. He provides an example. As you know, most allocate between safe and risky assets. Often one purpose of safe assets is to ensure a steady income – they are called “fixed” income for a reason – and a sum of money at maturity. So, for instance, if the right allocation at portfolio inception is 50/50 and risky asset piece subsequently drops in value, conventional wisdom would have the investor re-balance by selling bonds and buying stocks. In doing so, Michael points out, that investor will have taken on more risk than he or she was prepared to take at the outset. All else being equal, that makes no sense. Conversely, if stocks climbed from inception of the allocation and bonds did not, stocks would be sold to rebalance and bonds purchased. Again, that makes no sense if the bonds are serving the purpose mentioned above. In thinking about this it seems to me that the argument for rebalancing is based solely or mostly on volatility management. By keeping the relative risks of bonds and stocks on target, the targeted volatility is achieved. Financial experts, however, argue that volatility is not true risk. Real risk is just the risk of a permanent loss of capital. If so, then I’m inclined to think that Michael is right: you should never reduce your safe holdings as part of rebalancing, as that just increases your exposure to the risk of a permanent loss of capital. Conversely, there should never be any reason to reduce equity holdings after they have appreciated: that appreciation creates no greater risk of permanent loss of capital based on the initial starting point. As to Michael’s point that there is no theoretical or mathematical justification for rebalancing, this too makes intuitive sense to me. Rebalancing just amounts to buying low and selling high. As such, it seems to me that it is essentially a value strategy, or an anti-momentum strategy. Over very long periods we know that the value and momentum factors have outperformed beta, but they tend to zig and zag with the one offsetting the other at any given time. By effectively going long one (value) and short the other (momentum), it seems right that they should cancel each other out. I don’t have any strong views on any of this. But I find Michael’s points to be interesting. They are especially interesting to me in light of the new asset allocation ETFs which effectively rebalance daily, a sort of rebalancing on steroids. If Michael’s point is, say, applicable to my situation, then the Vanguard 40/60 allocation ETF is not appropriate, even though it is a conservative allocation. It is not as conservative of a fixed un-rebalanced 40/60 allocation. I’ve seen no articles on this topic, which suggests Michael is wrong, the effect is so small as to be not worth writing about, or his point has not been considered by the financial advisor community. I’d love to know which it is. Interesting stuff and I think Michael Edesess is right, for someone relying on a fixed income to live out the rest of their life, automatic rebalancing may not be justified and it could increase their risk profile and lead to permanent loss of capital which defeats the original purpose of a very conservative asset allocation. What Drew was asking me in particular, is a theoretical question. Is it better to for a Canadian retail investor to invest in the Vanguard Balanced ETF Portfolio (VBAL.TO) or the Vanguard Growth ETF Portfolio (VGRO.TO) if you want more equity risk and allow these ETFs to automatically rebalance every day or to invest in a 60/40 50/50 80/20 portfolio using ETFs and rebalance on your own every quarter, six months or year? [Note: In the US, similar ETFs are the iShares Core Moderate Allocation ETF (AOM) or the iShares Core Growth Allocation ETF (AOR)]. This too is an interesting comment because it seems to suggest what I remember, there are very big benefits to rebalancing, namely, there are very real advantages for institutions with a long investment horizon to rebalance every quarter because just by rebalancing, they will increase returns and lower their portfolio's volatility (ie. increase risk-adjusted returns). There is a caveat to all these quant studies, however, and let me explain. They were all done during periods when stocks rose (ie. long bull markets) and I'd be curious to see if the same holds true during a long bear market where stocks keep declining (so rebalancing lowers risk-adjusted returns) or even during periods when stocks go parabolic like 1999-2000 where momentum strategies dominate and stocks keep melting up. Now, unlike an individual relying on a fixed income trying to live out the rest of their life which could be 10, 20 or 30 years, pensions have a much longer horizon so in theory, they definitely should be rebalancing every quarter. I know all this which is why in my last comment of 2018, Making Stocks Great Again, I knew there were major hedge fund and mutual fund redemptions going on late last year which led to heavy selling in December and the Mnuchin Massacre didn't help, but once the world's most influential allocators were done rebalancing, stocks would come back strong. But I also made an implicit assumption, namely, that rebalancing alone will suffice to lead to higher stock prices in Q1 2019. What if I was wrong? What if stocks kept melting down like in 2008? Then, not only should you be wary of the buyback bull but you should be wary of the rebalancing bull too! I mention this because I remember a phone conversation with Bob Bertram, OTPP's former CIO, back in 2008 when he told me: "We kept buying the dips and the market kept going lower and lower." In my arguments, I'm implicitly assuming mean reversion and that when global big institutions rebalance, it swamps everything else including buybacks and necessarily leads to higher stock prices going forward. As Bob Bertram reminds us, that's not always necessarily the case!! Short answer: my experience is that some variation of rebalancing works best for a pension plan. You can argue whether it is the best strategy for an individual. The reason rebalancing works is in part that markets collectively exhibits short-term bipolar behaviour: overreaction to good and bad ‘news’. Markets tend towards efficiency in the long run, but print a daily price that in my mind is not efficient in an economic sense. Some studies show that too frequent rebalancing hurts. The bigger issue is being late. Individuals tend to be late. There are a few rebalancing strategies such as calendar based and range based. I am pretty sure that over medium and long term horizons that asset classes mean revert. Assuming that is the case then rebalancing makes sense. Further, assuming that a fund has positive cash flows the rebalancing can be done by deploying new cash into the underweight asset classes so it doesn't necessarily have to incur transaction costs. Even absent incoming cash you can deploy cashflow from coupons and dividends into the underweight asset classes. Or you can bite the bullet and incur T-costs to get back to targets. I would also note that the typical 60-40 portfolio also almost all of its risk in stocks, as Bridgewater shows in their background work on risk parity strategies. Risk parity has not done so well recently but I think it still makes sense assuming that assets are at equilibrium pricing, which is a huge assumption. I know that you're is still a bond bull, but I would not be a buyer of bonds at current yield levels as yield curves are extremely flat and I don't see the point in taking duration risk unless you think that bond yields are going way lower. And bonds are currently a lower yielding asset than stocks in pretty much every country outside the US. So cash looks pretty good to me in the current environment. And equities in many markets are now cheap on an absolute basis which has been a rarity in our careers. 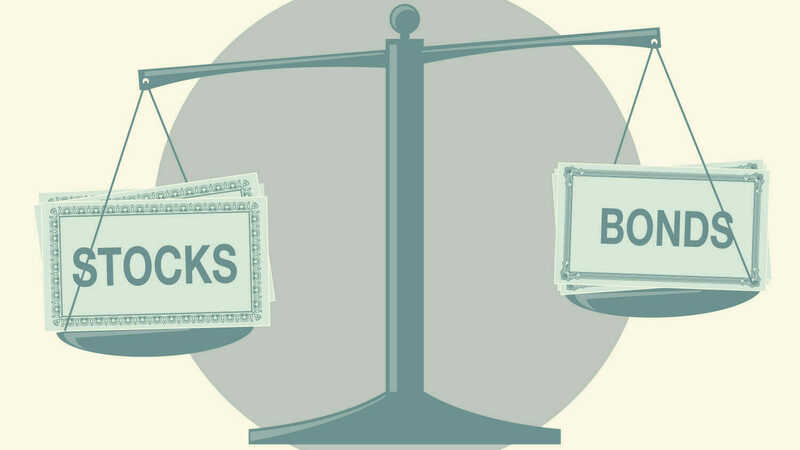 In taxable portfolios things can be different as rebalancing can have a more tangible cost in the short term as realizing capital gains will cause you to have to pay taxes to the government. By the way there are some Horizons ETFs that are very useful for taxable investors. ETFs such as HXS, HXT, HXX and HBB are structured via total return swaps and they don't pay distributions at all, instead the ETF's NAV grows with the total return of the underlying index. 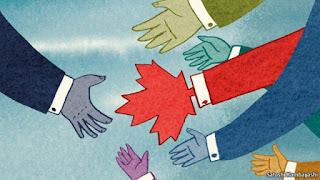 This converts bond coupons or non-Canadian dividends from regular income (taxed at 53.53% here in Ontario) to capital gains taxed at half that rate. And that tax burden is deferred until you sell your units. Even if you need regular income you can sell a few percent per year and still be ahead of the game. 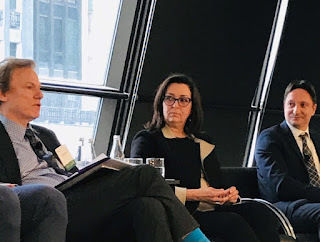 I thank Leo de Bever and Wayne Kozun for their insightful comments, they're extremely bright investment professionals. By the way, Wayne is now the CIO at Forthlane Partners, a multi-family office based in Toronto. I have a lot of respect for both these individuals but respectfully disagree with them on bonds. I remain more bullish than ever and as I watch underfunded US pensions selling their bonds to reach for yield in stocks, corporate bonds, private equity, real estate and hedge funds, I can't help but cringe knowing we have yet to see the secular lows on US long bond yields. That's why I'm convinced US public pensions are cooked when the next recession/ crisis hits (they're all implicitly short vol and throwing their bonds out with the bathwater!). Anyway, that's a topic for another day, I hope you all enjoyed this topic on the optimal rebalancing strategy. "You have to guess the upcoming changes, try to rebalance during the roll and then tweak your position after the roll is done. Tracking error? Of course. 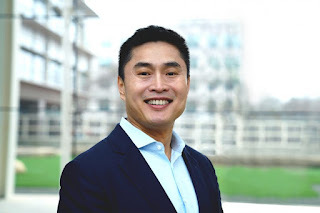 Tough to execute if you are the sole trader of an index, since you have to do all the trading close to the close and several commos close at the same time." One last little tidbit, a parting shot at robo advisors. In Canada, we were subjected to very lame and depressing commercials for Canadian robo advisors during Sunday's Super Bowl which admittedly was even more lame and depressing. I was chatting to a quant friend of mine about rebalancing and he told me he's invested in VBAL and doesn't understand what all the fuss is with robo advisors who claim to be more effective rebalancing to justify their higher fees. "What's their track record relative to VBAL? In fact, every other investment firm charging fees for taking asset allocation decisions should demonstrate alpha over VBAL or a similar US ETF over a long period." He's absolutely right, a lot of smoke & mirrors out there, fancy marketing packages that sound very sophisticated but net of fees, most of these investment managers are underperfoming big time!! Below, as the US and China race for artificial intelligence leadership, Kai-Fu Lee, chairman and CEO of SInnovation Ventures, joins "Squawk Box" to discuss the future of artificial intelligence and where the sector is currently thriving. Second, CNBC's "Closing Bell" discusses the markets ahead of more earnings reports with Jeffrey Kleintop from Charles Schwab and Rick Santelli at the CME in Chicago. Click here if it doesn;t load below. Lastly, CNBC's "Closing Bell" team breaks down how millennials are investing with JJ Kinahan, chief market strategist at TD Ameritrade. Pot stocks and Tesla? Geez!! Just read your piece and having spent the last 18 years trying to convince folks of the silliness of traditional rebalancing (with pretty good results with my clients, including adding value in 2008 and 2018 and even 2017), I take the liberty to enclose a paper I wrote that debunks all the myths around rebalancing. In short, rebalancing affects 100% of a fund’s returns and most naïve rebalancing policies worsen drawdowns and are purely arbitrary. Add to that, we have no ability to forecast long term returns, so to go back to an SAA that is based on questionable forecasts is a problem (I made this mistake for a $10bn fund in the late 1990s). 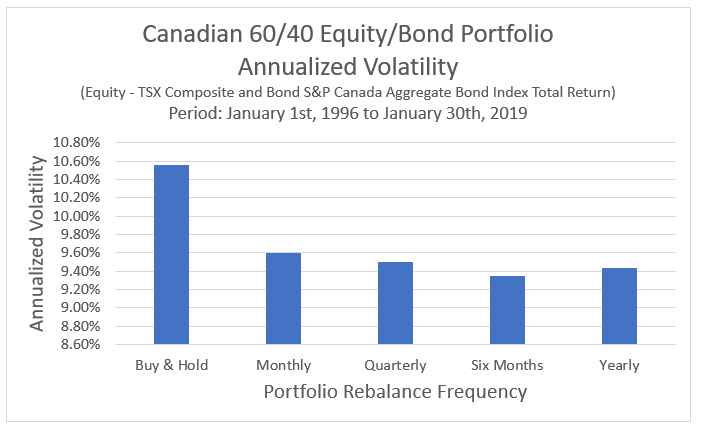 All it takes is a little bit of work/intelligence to position the portfolio intelligently relative to the SAA and you can add value and lower risk (Yes – you can get paid to manage risk!). You can read Arun's paper here. I thank him for his very wise insights.